Set things on fire with Tracer’s laser shooting pulse pistol. 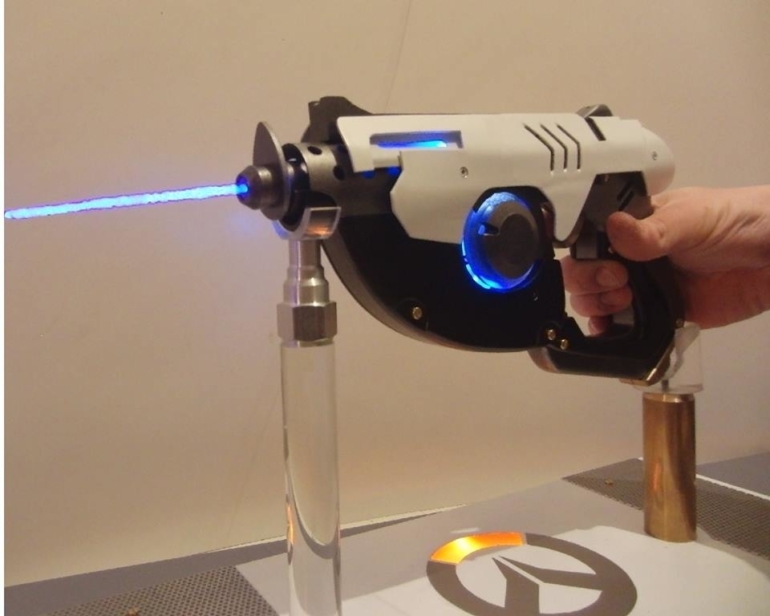 YouTube creator Patrick Priebe may have made a recreation of Overwatch hero Tracer’s pulse pistol that’s even more awesome than her in-game weapon—Priebe’s version shoots lasers. Priebe is a prop builder with an affinity for lasers, creating custom builds and uploading videos of them to his popular YouTube channel. Many of his builds are created for clients, but the Tracer pistol is a personal project he’s been putting together for a while. “It’s one of those long-time projects that I’ve tinkered on here and there, whenever I found the time, basically,” Priebe told Dot Esports. The laser shooting from the pistol is fully functional and pretty dangerous. Priebe demonstrates by setting a bunch of different things on fire in the video—including the Overwatch logo. So far, Zarya’s cannon or Widowmaker’s sniper rifle are the most likely choices for Priebe’s potential next Overwatch build.